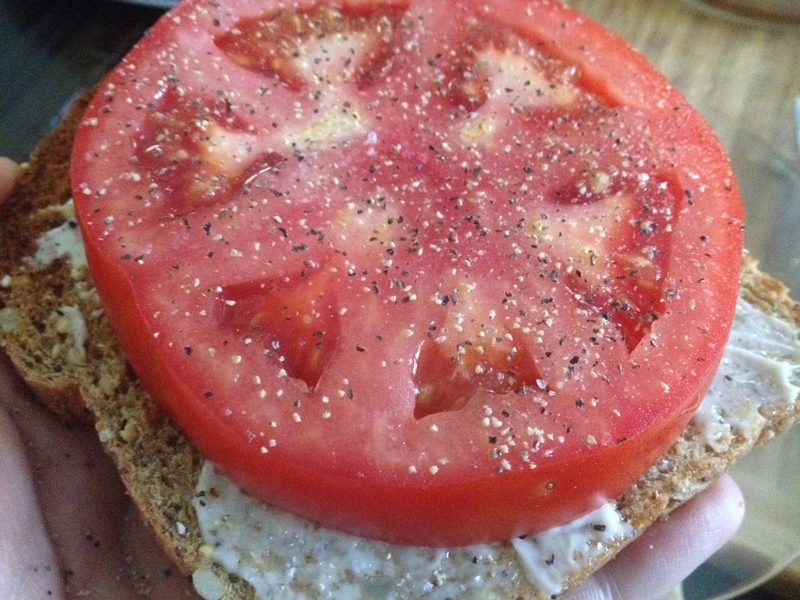 I am addicted to tomato sandwiches. 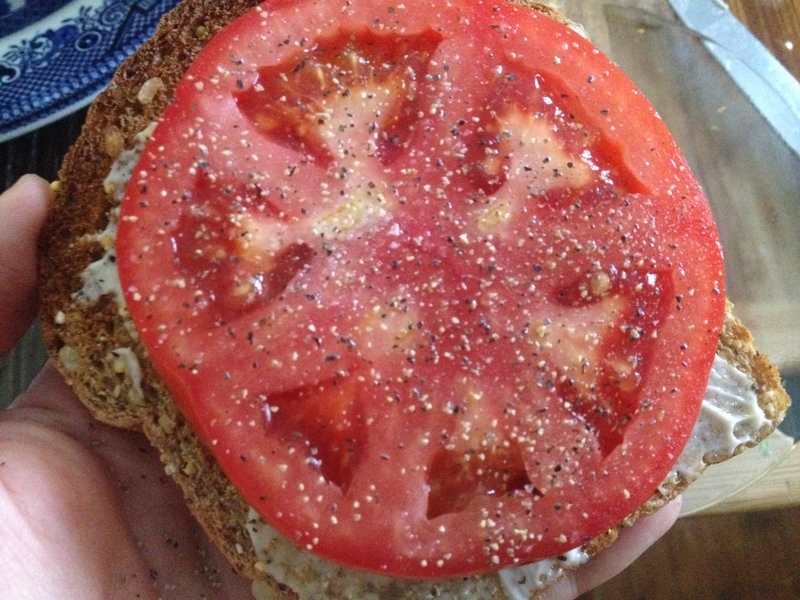 . . especially ones made with roadside tomatoes from local farmers. It takes me back to summers in South Carolina and the farmers that lined the roads toward the beach that were selling fresh veggies from the back of their trucks. Lucky for me, my husband came across a couple selling tomatoes and brought a bag home for me. Most of y’all know that I’m also a BIG fan of good bread. Though my husband is an amazing baker, I love when he brings home a fresh loaf from our local Greensboro Great Harvest. If you aren’t familiar with the name, Great Harvest has been a staple since 1976, providing fresh baked, whole grain breads (search for your local Great Harvest bakery here). They also make their own whole-grain flour . . . and yes, you can taste it in every loaf. If you haven’t read up on the story of the founders of Great Harvest, Pete and Laura, take a minute to learn about them before heading into the kitchen. You may appreciate the humble beginnings of this national brand. If you’re interested and impressed by their commitment to community and quality baked bread, then explore bakery ownership with them! Normally I would want to make the mayonnaise myself (this recipe from Alton Brown is easy and yummy!) but alas, I was hungry and those tomatoes just wouldn’t wait. I hope that this simple summer recipe will soon become your favorite. Enjoy this sandwich with a glass of sweet tea on your back porch – shoes not required. *this mayonnaise and blue cheese mixture will make you many sandwiches. Mix it up and store it in an airtight container.